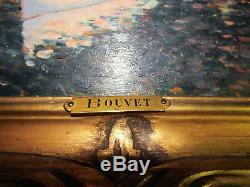 Following a house ridding, here is a painting of Impressionist style, signed by Max Bouvet, registered in benezit. 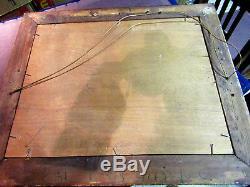 Very nice condition, original frame with small original brass plate. Dimension 43cm on 51.5cm, overall. Ultra-shielded packaging or delivery in but clean possible. Information on request 06 08 25 04 32. 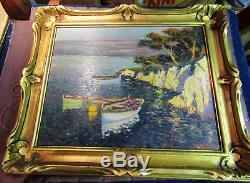 The item "Signed Max Bouvet (1854-1943) Oil on wood Marine, Provence, Cassis Marseille" is on sale since Thursday, July 12, 2018. It is in the category " art, antiques \ art of the nineteenth and before \ paintings, enamels ". The seller is "bebess1" and is located in saint genest malifaux. This item can be delivered anywhere in the world.